Forage patrons may park in one of the first four spaces in the lot -- look for the Forage sign. Please don't park anywhere else in the Craigie Circle lot -- you will be towed. Or in front of the Armenian Church at intersection of Craigie & Brattle. Sundays - park anywhere on street. Take the Red Line to Harvard Square and exit via Church Street. Take a right and proceed up Garden St toward the Sheraton Commander Hotel. Continue on Garden St toward the lights after the hotel. Bear left at the lights and continue on to Concord Ave. Take a left at the next set of lights on Craigie St; we are on the right side of the street. ​Forage is a farm to table neighborhood bistro in Cambridge right off of Harvard Square. Through partnerships with local farmers, fishermen, and foragers, ​we offer a local, seasonal menu served in a casual setting. The bar program at Forage ​delivers classically crafted cocktails that have a focus on seasonal and locally produced ingredients. ​Forage also boasts a carefully curated and approachable collection of organic/biodynamic wines, and a selection of beer from independent and innovative breweries. 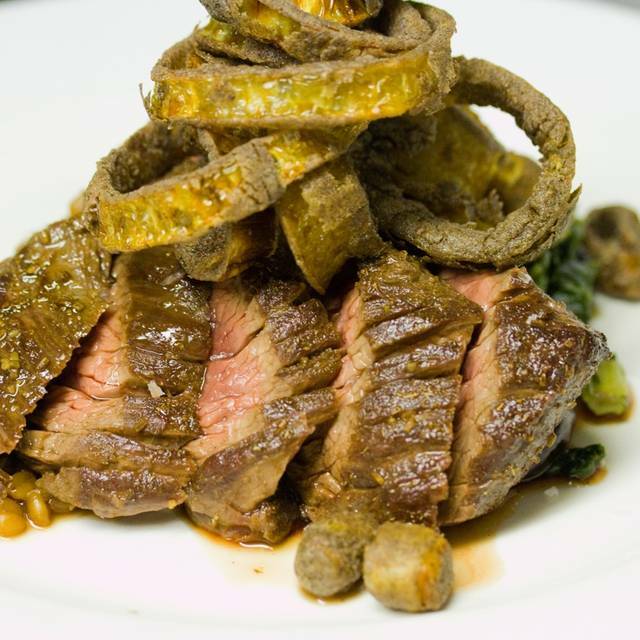 Delicious, well composed prix fixe menu with wine pairings at very reasonable price. Forage is a favorite for its creative approach to food. Fresh ingredients, original combinations, welcoming ambience. They let the food speak for itself and do not over-butter and over-salt. Sunday and Tuesday night prix fix menus are good value and every bit as good as Saturday night meals. Perfect for omnivore, vegetarian, and vegan alike. Also, an excellent spot for folks who value locally sourced ingredients, humanely raised meat, organic produce, fermentation, unique cocktails and a staff that genuinely loves their craft. Highlights were the mussels, a rose egg white foamy drink concoction, and the most delectable tenderloin of my life with a green garlic bread pudding. The grand finale was a zero-waste tomato sorbet that rocked my world. Go here. Learn about the food. Enjoy the show! 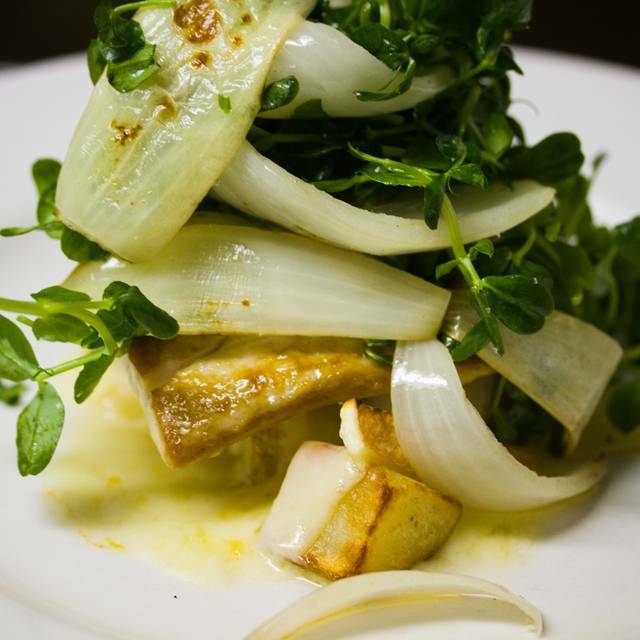 Forage is a natural organic farm-to-table restaurant. They offer a la carts and Prix fixe meals, including vegetarian and vegan options. I had the 4 course vegetarian Prix fixe menu. Overall I would call the food decent but nothing exceptional. The carmelized onion soup was quite good as well as the mille feuille entree. The tofu and greens salad was just about passable. The dessert was a poppy seed cupcake on a carrot puree. Unfortunately it was very dry and the carrot combo didn't work. Service is very friendly though not attentive since there were 2 people serving the entire restaurant including tending the bar, so we had to wait a few times each to catch their attention. The wine list is unusual, eclectic and well priced. We were recommended a Priorat, which none of us had any experience with and we enjoyed it. We were impressed with the staff's wine knowledge. Overall I would say that the premise is good but the execution didn't live up to the promise. 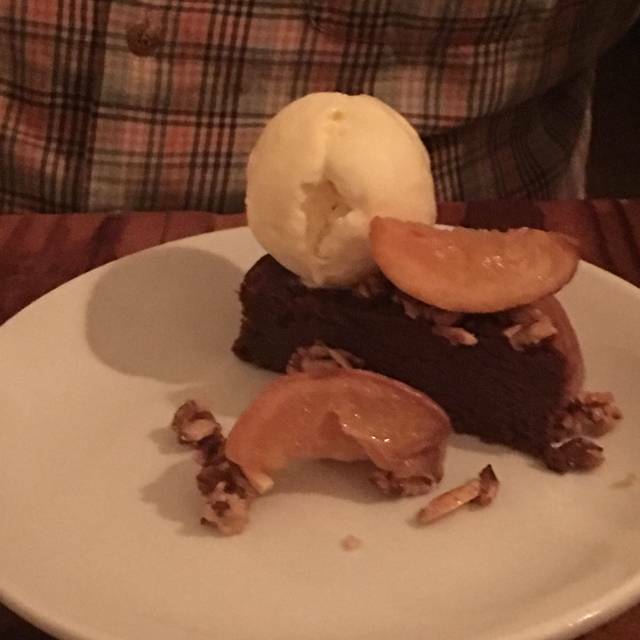 If the dessert and been better I would have given it 4 stars. The servers were so personable and lovely to chat with! My boyfriend and I always love the description behind every wine and everything was delicious!! The bar has the best atmosphere and comfy ambiance. Thanks a million!! Our guests enjoyed the wine pairing dinner greatly. We had a great time- as in our previous visits. I wish I could eat like this at every meal! We came for our anniversary dinner (his first time, I had been once with friends) and thoroughly enjoyed every bit of the evening. He had the steak, and I had the vegetarian tasting, which was no problem for the staff. Every plate was unique and delicious, as was the wine - a Sagrantino! The atmosphere is intimate, and though a bit loud at times, they did a great job of optimizing the space. We appreciated all the special touches that made the night so memorable, we will surely be back! We had an excellent meal - although we came for the vegetables, we ordered their chicken and steak, where were tremendous and definitely the best things. We had a great bottle of wine, and a couple cocktails in a large group. Service was very kind despite us being a fairly particular group. We could always hear each other, but it's a small space so got full and loud. Simply exceptional. Everyone, give it your business and keep restaurants like this thriving! Forage never disappoints! We love the attention to detail, ever-changing food and cocktail menus, and the service is spectacular! Staff is knowledgeable and kind! Excellent service and attentive staff. The food was great with the exception of one entree which was sent back. The staff bent over backwards to make amends. The food was bad. We had the four-course vegetarian tasting menu. One course was sweet potatoes, and they were very much under-done in the middle. The main course was a mushroom "mole" that was far inferior to anything you could get in East Boston for a fraction of the price. The wine pairings were fine. Forage was excellent. Small and intimate restaurant. Food was fantastic, I had the chicken and my partner had the steak. Wine was also excellent, I had an Italian Orange wine, which you don’t see very often at all let alone by the glass. Only thing I would say to stay away from is the mustard in the charcuterie board. Very very harsh. Otherwise great experience! Mushroom wine dinner was fantastic. Having the mushroom farmers in attendance to answer questions was a bonus. What a wonderful place to have dinner with a good friend and catch up. Food, ambience, service, al superb. If you want some hing, they will do whatever they can to make sure you get it! I liked very much. They accommodated all our special requests. Food was good. I little pricey though. I have recommended Forage to friends and they have eaten there. It is a quiet neighborhood place with interesting dishes and well informed staff. 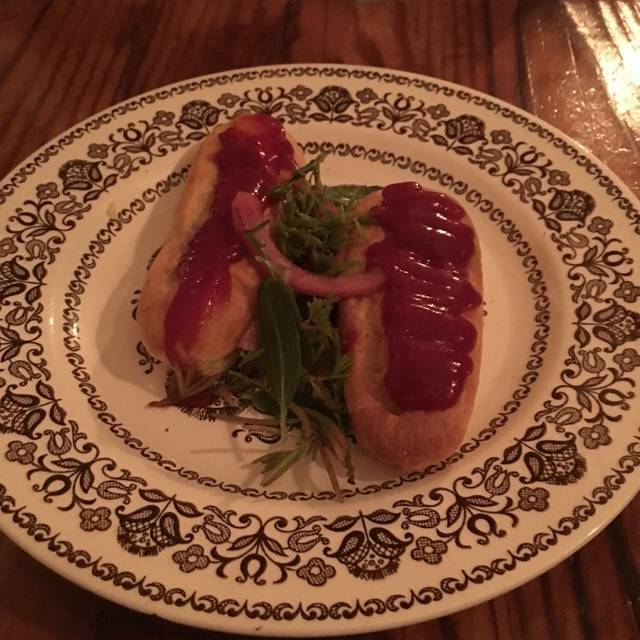 I had a spectacular meal at forage a few months ago and returned there to enjoy your restaurant with a friend. Unfortunately this time I was a disappointed. the fish stew seemed bland, and the deserts were ok, but not wonderful. We went to Forage again recently, hoping it would be better than the first time, but it was similarly underwhelming. I was pleased to see a Meatless Monday fixed price menu, but some of the dishes on it were very "meh," such as the fritters (they were tasteless). The two best dishes we got were the vegan sausage (not on the tasting menu) and a pasta dish with lentils that was on the tasting menu. 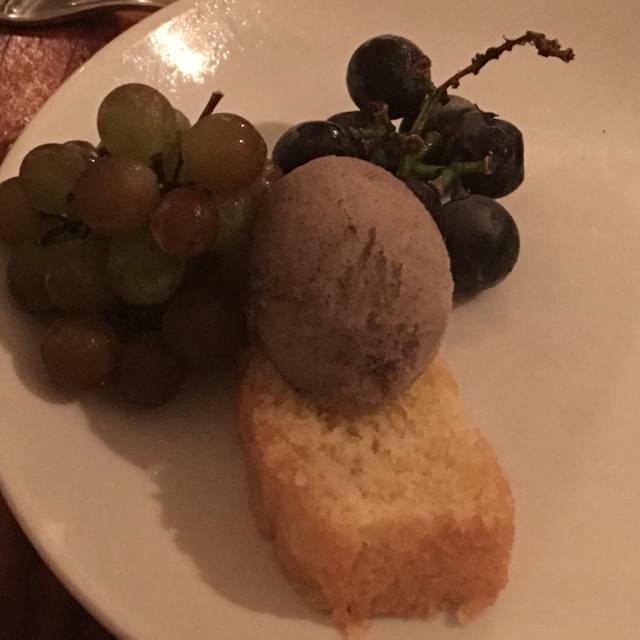 The mole dish was only so-so (I've had much better for far less at a number of local Mexican places) and the dessert was downright weird (that cinnamon ice cream is really overpowering). The drinks were only okay for the high cocktail price. While the people there were lovely and the place itself it beautiful and intimate, there are so many better places to go in Cambridge/Boston/Somerville if you're looking and willing to pay for a good meal. Unfortunately, we won't be coming back. Took too long to receive our main course. Reservation was for 7 pm. Main course wasn’t served until after 8:15. Four of us went to Foragwe to celebrate a birthday. Food was wonderful. We appreciated that the noise level was not excessive Forage also has an extensive wine list. The bar manager/sommelier was very knowledgeable and steered us in the direction of a delicious vintage. Parking the area is a bit of a challenge. If your not taking shared transit allow a few extra minutes to find a place to park and walk. We had a lovely dinner at forage. Great innovative flavors and combinations, a little heavy on the salt for our tastes. For the price of dinner it would’ve been nice to have a little more space especially where the conversations of neighboring people was somewhat offensive. I understand that that is not something that can be predicted. However the volume was a little loud. The celery sorbet at the end of the meal was a piece of art as were the muscles in Shallot thyme Broth. The wine was excellent but hardly a full serving. I’d love to give this for stars, but it just seemed a little lacking in those areas mentioned above. Hats off to the innovators of the menu!. Inventive menu, tasty food. Cocktails small portions high prices. Nicely appointed space. Knowledgeable and attentive service. Forage exceeded our expectations for a two-family dinner that needed to accommodate a variety of dietary requirements. We went with the tasting menu for the whole table and the server and chef flawlessly handled our vegan, gluten free, pescatarian and shellfish allergy diners. It was quiet enough for conversation and all dishes were very tasty! Overall a wonderful dining experience! I have never had such a delicious seafood stew. The clams and mussels were done to perfection, and the broth was light and full of flavor. The turnip salad was crisp and unusual. I love this food. Great experience overall. 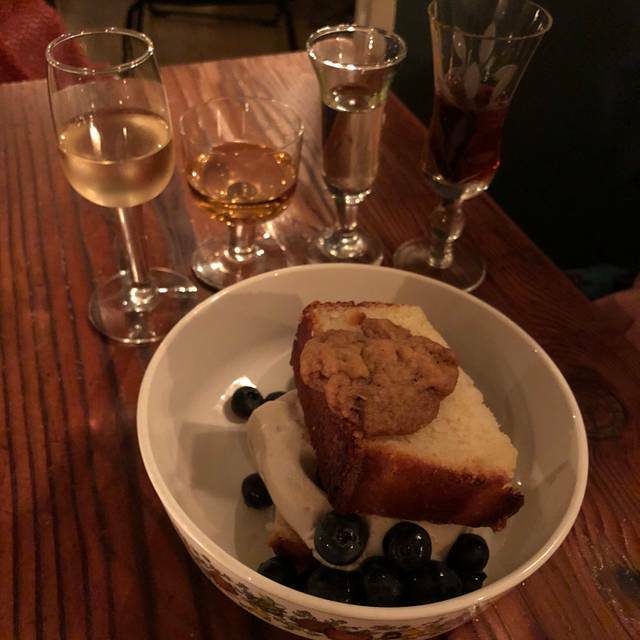 My friend and I had the vegetarian tasting menu with wine pairing and would highly recommend. Great flavors and very interesting wines. Small, quaint dining room with lots of ambience. Can't wait to come back! 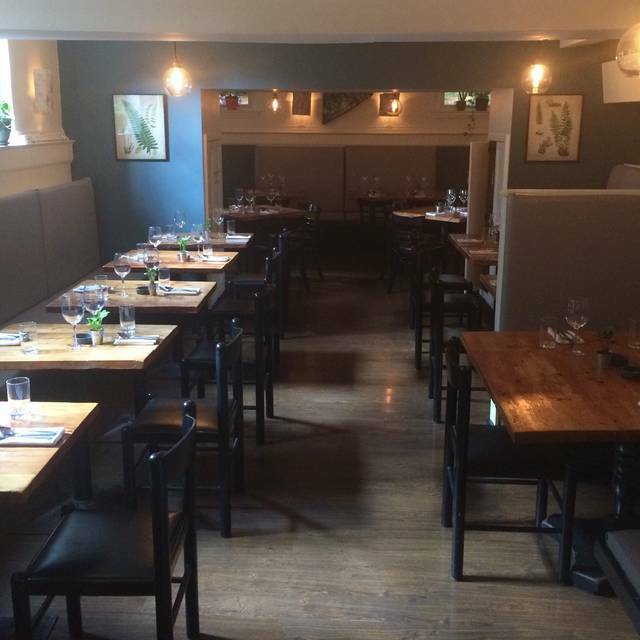 Cozy, intimate space with consistently delicious food and great service. A little loud. Limited menu. Great neighborhood find. Had a lovely evening! Enjoyed the many vegan options and the overall knowledge the person helping us had about the food, and what the word vegan means! The cocktails and wine list are superb. The ambiance is really great, but no fault of theirs the quarters are a bit tight (it's Cambridge- so that's normal). It's made better by the use of great lightning and their attempts to keep the acoustics in mind with sound proofing. I was very impressed with the level service, and personal touch made. I really enjoyed our lovely experience at Forage. The food choices were creative and delicious. The service is friendly and kind, and I love the intimacy of the small space - unlike other reviewers I found it cozy and calm. This was a personal problem, but we found the menu a little bit limiting because my husband has both a dairy and shellfish allergy, and these were popular ingredients on the night we went - though the kitchen was *very* helpful. Love the space, very cozy. Service was excellent, friendly, helpful, prompt. Overall, we liked our food. The pork was delicious. The lamb tajine was good, not great. Cocktails were top notch, tasty and unique. We definitely will be back. Not impressed. 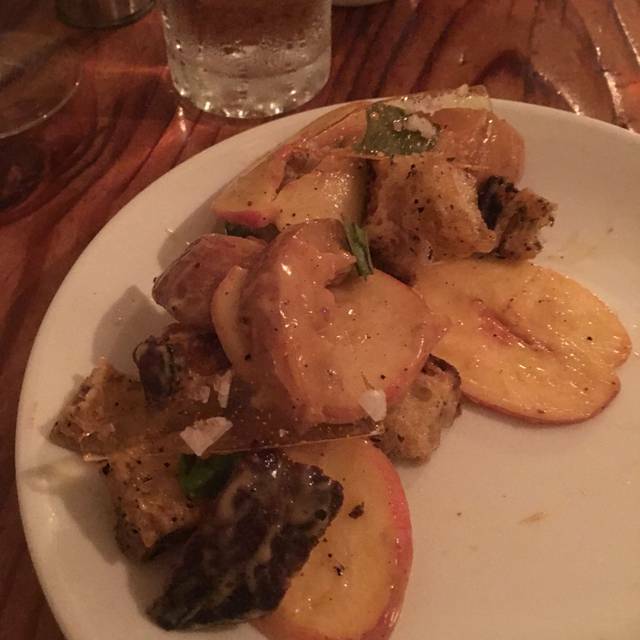 We had the sweet potato starter and it was fairly bland and the potatoes were slightly undercooked. We each had the pork belly entree, one was mostly fat and they were not well prepared. The bottle of wine was very good and reasonably priced. Great service. Perhaps we just ordered the wrong items. Went to Forage with family and loved it! Came back the following week with business associate and had another great experience. The 6-course vegetarian tasting menu made for an excellent Monday evening! It's hard to find such an elegant experience as a vegetarian. The cocktail menu is also creative and fun. Fresh, locally sourced food, we had the vegan tasting me a and a couple of extras and enjoyed every single dish, highly recommended. communicate high concept food with New England vegetables- turning your notion of how local vegetables will be served on its head. The cocktails followed the same theme, conceptual and really delightful- not what one would expect from a typical high end restaurant. The protein was not the star of each plate, which is different for American cuisine, and highly enjoyable. 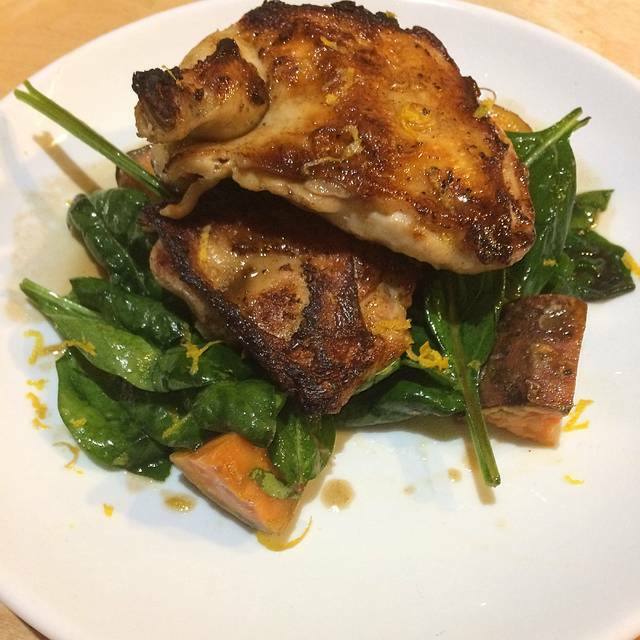 If you love eating good food and love cooking, try this spot out- it’s so much fun to learn new ways to think, taste and cook foods we have access to!